In the event the Cabarrus County Sheriff’s office is closed due to inclement weather, Handgun Purchase Permit applications will be processed as quickly as possible once our office re-opens. You will be notified by phone and email when completed. NOTE:This only applies to those who have already completed the mental health release form in our office. All others will be processed under normal procedures in the 14 days provided by NC Statute. A criminal and mental health background check will be conducted on all handgun purchase permit applicants. 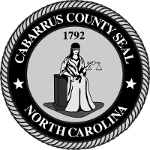 You may also be required to show proof of residency in Cabarrus County (must be a resident for 30 days). If you were born outside the US, you will be required to provide proof of citizenship (naturalization, born abroad birth certificate, valid US passport, etc.). If you are a resident alien, you will be required to provide your valid registration card. Applications will not be processed without this documentation. Applications can take up to 14 days to process. All permits must be picked up in person by the applicant with a valid NCOL/ID containing correct address information. A permit is required for every handgun you wish to purchase. Permit fee is $5 for each permit requested (due when application is submitted, non-refundable). This permit is surrendered to the seller at the time of purchase and is not a permit to carry a handgun. A County Sheriff is only authorized under NCGS§14-402 to issue a permit to receive or purchase a handgun when an application is submitted by a person who is a resident of his/her County. The sole exception is the Sheriff may issue a permit to a non-resident when the purpose is for collecting (proof will be required).